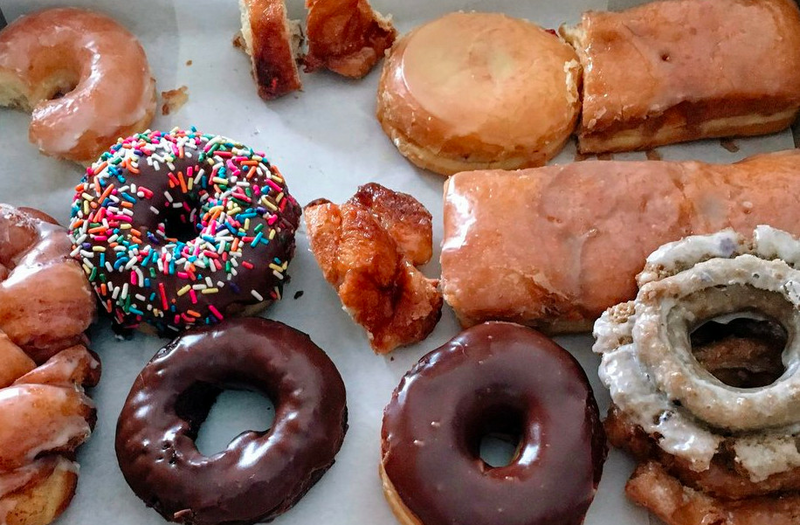 Doughnuts happen to be LA’s most iconic breakfast item (though they’re also tasty at any hour of the day), thanks mostly to a slew of Southeast Asian immigrants who came and proliferated the concept in every strip mall across the Southland. Fried dough isn’t just a sweet start to the day, they’re a way of life in Los Angeles, with many shops staying up 24/7 to serve them alongside cheap cups of coffee. Recently, Los Angeles has seen a heavy infusion of fancy shops like Blue Star, Sidecar, and Astro Doughnuts that are boosting the pricier side of the spectrum — not to mention Instagram-friendly shops like Birdies in Downtown. 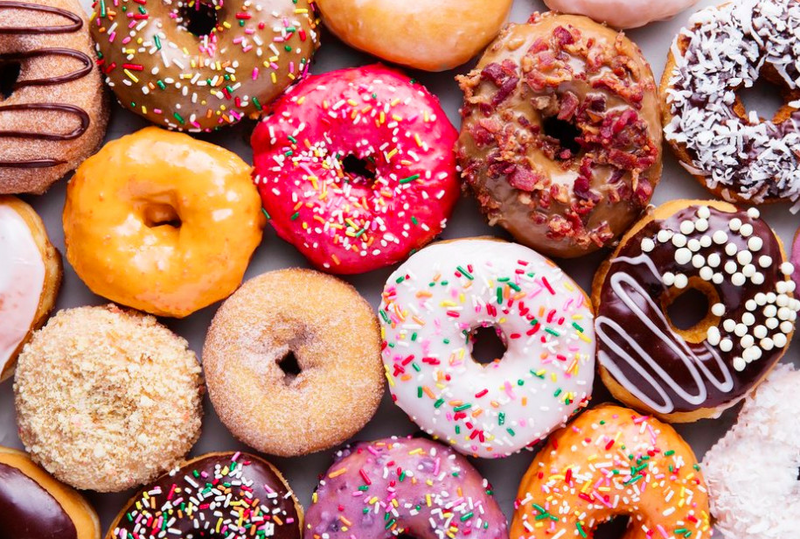 Luckily there’s room for everyone in doughnut-crazed Los Angeles. Removed: California Donuts, Sycamore Kitchen, DK’s Donuts & Bakery, Stan’s DonutsNote: Restaurants on this map are listed geographically. This farflung doughnut shop is a worthy destination for anyone driving through or seeking some creative fritters in the West Valley. Best to go early though, as Blinkie’s closes up by noon every day. Those limited hours do mean diners get a fresher doughnut, though — just be sure to show up with cash. 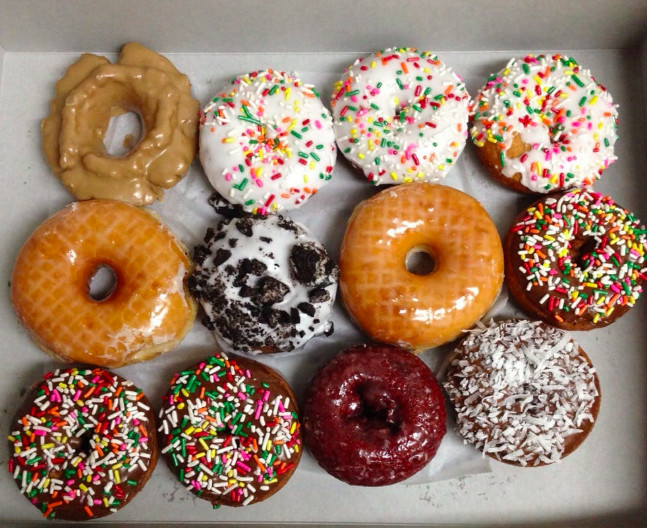 Situated towards the east side of Eagle Rock on Colorado Boulevard, locals know about Colorado Donuts. 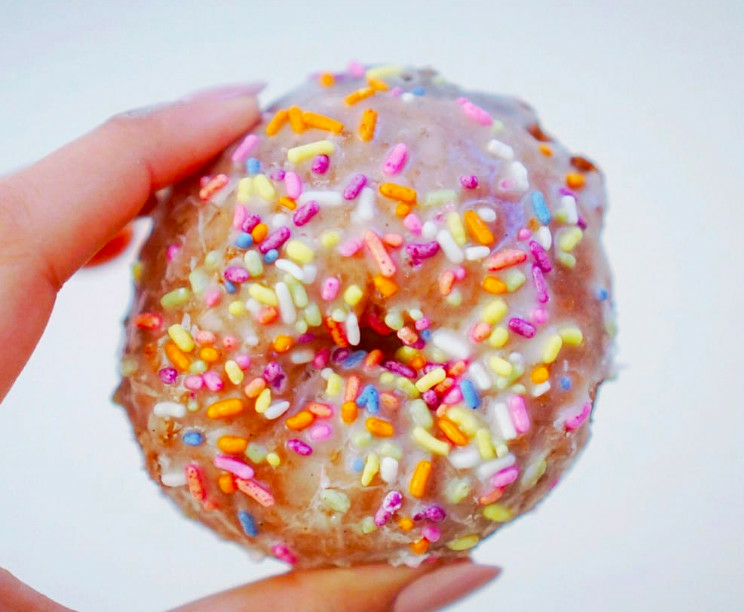 Most donuts are pleasing to the eye, but the flavor profiles are solid too. While traditional rules the inventory, vegans can also try something interesting. 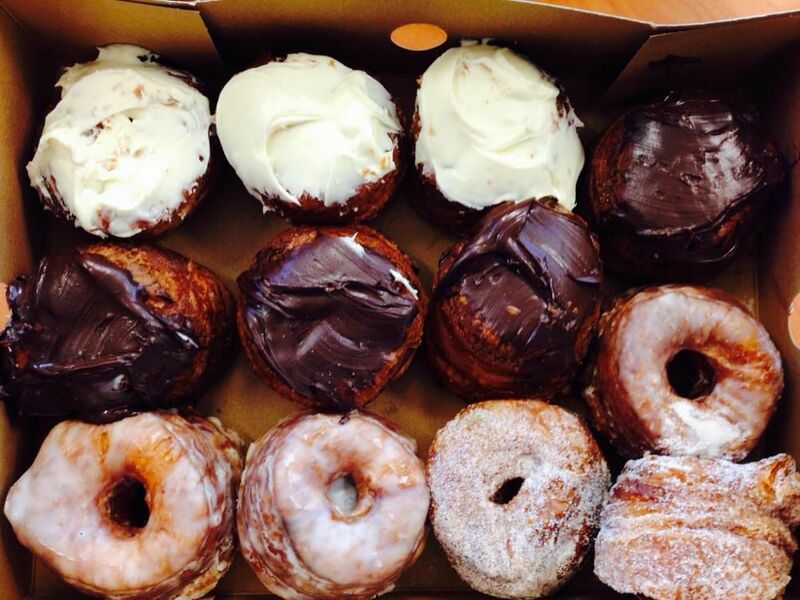 The stunning Cronut with a star punched in the center is an absolute winner. Portland-famous Voodoo Doughnut expanded a while ago into Universal CityWalk, and ever since the weekend lines have been growing. Maybe it’s the wacky flavors or bright pink color scheme, but tourists and locals alike can’t seem to get enough. 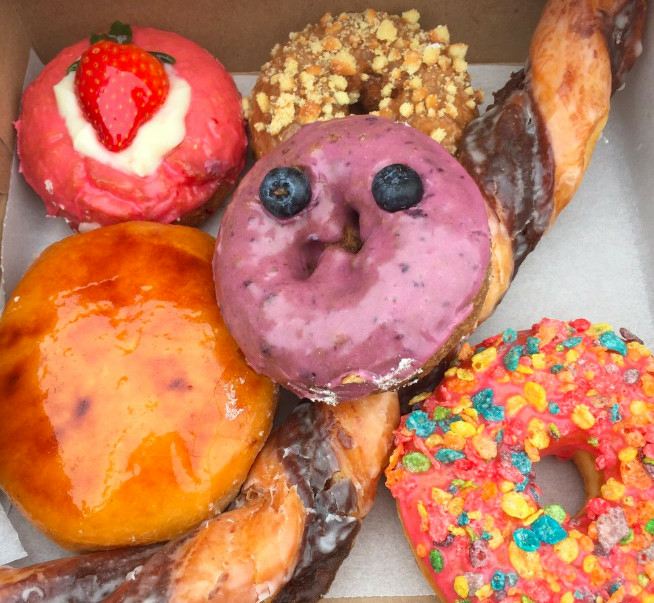 It can be tough to judge Donut Man because so much hinges on the strawberry and peach doughnuts, which are only available seasonally and are essentially just raised doughnuts sliced in half and stuffed with fruit. But those fruit doughnuts are fantastic. And the other picks like the arm-length tiger tail are very well made, and more than worth dropping by on the way to Vegas or Big Bear. 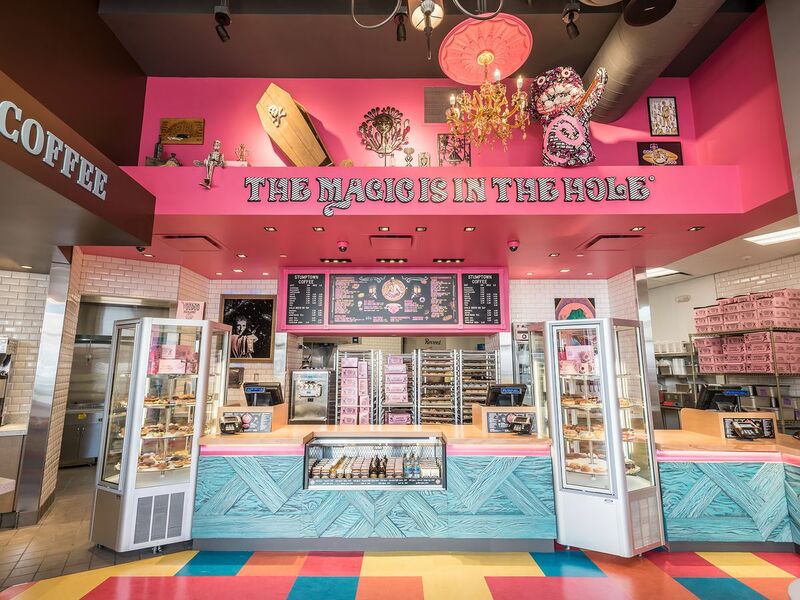 This bright, colorful shop gives eaters the option to either customize or pick from a pre-designed doughnut. 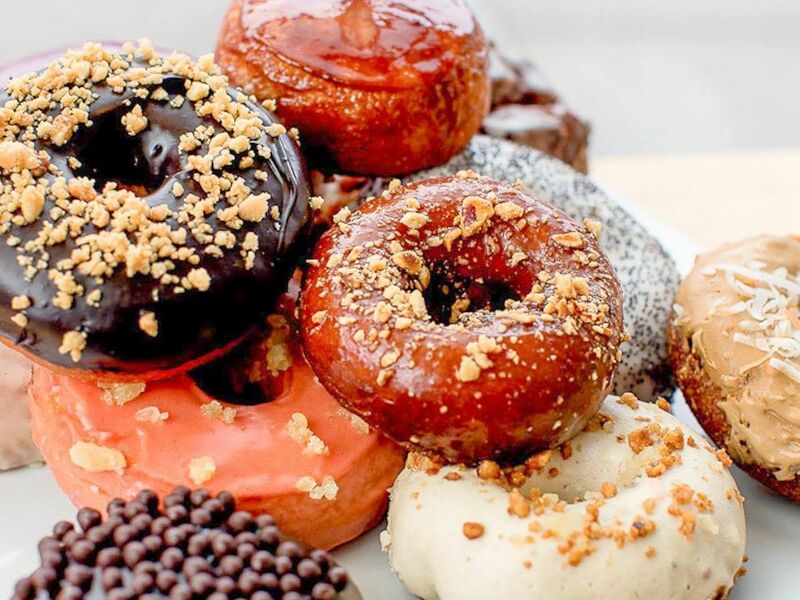 The toppings lean toward creative and unusual versus classic, and while not everyone is enamored with the cake options, the traditional yeast doughnuts offer a great tang and pillowy texture with each bite. 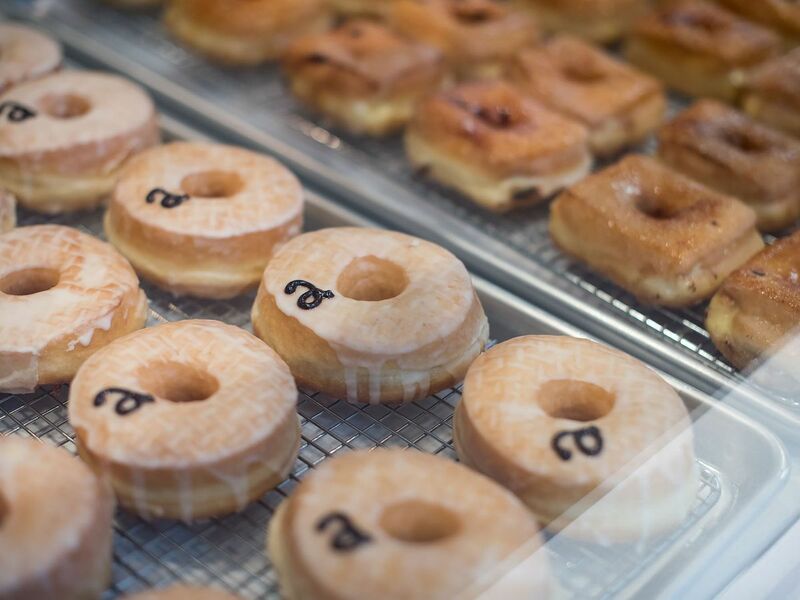 Kettle Glazed has settled in to become one of Hollywood’s best doughnut options, thanks to its early Cronut knockoff success. That shouldn’t keep eaters from also enjoying the wide array of rotating flavors available across the expansive menu, though — it’s all good at Kettle Glazed. Is there anything Danny Trejo can’t do? Longtime movie tough guy Trejo expanded last year into the taco and sit-down restaurant world, and now has a buzzy AM option along Santa Monica Boulevard with his namesake Trejo’s Coffee & Donuts. This place tends to sell out early, so be warned. Nicole Rucker runs the show at Cofax, and part of the deal is a fantastic collection of doughnuts that are unmatched in the area. Along with Stumptown coffee, chomp on a plush pistachio raised doughnut or chocolate cake topped with rainbow sprinkles. 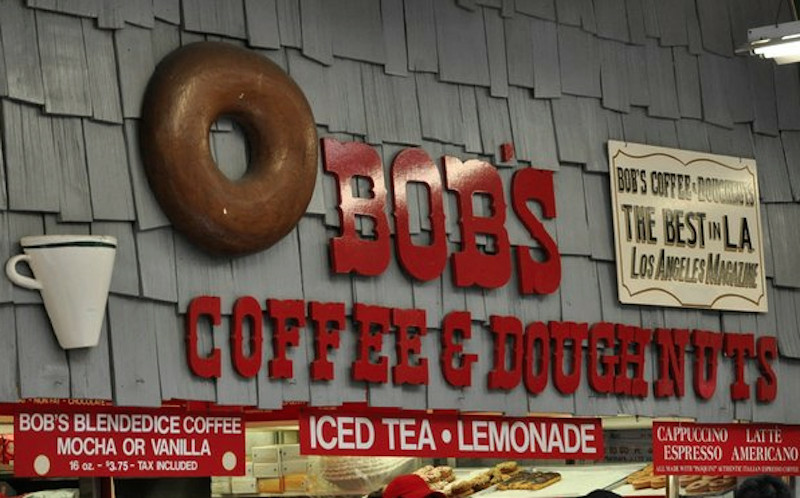 Bob’s is as old school as it gets, and plays to its timeless Original Farmers Market surroundings with classic flavors and a throwback design aesthetic. It all works. Although SK isn’t known for creating new doughnut trends, the shop gives all the major trends their own spin. 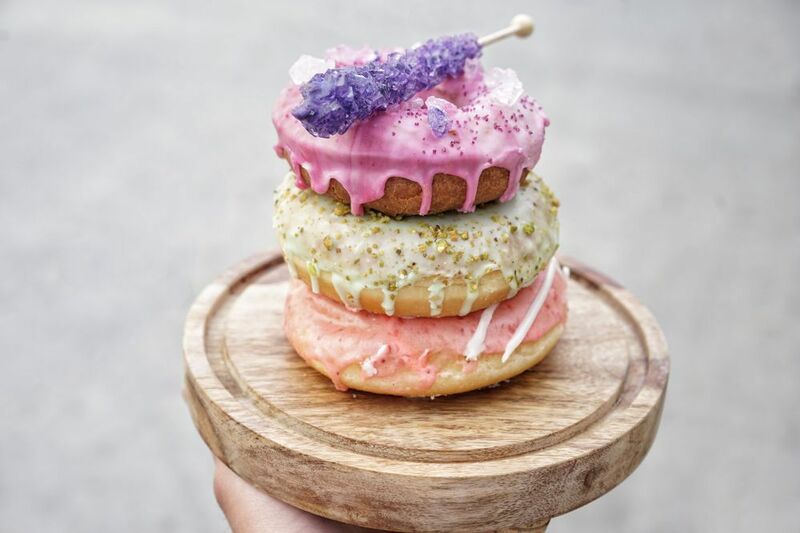 They offer a multitude of unique cronut fillings such as peaches and cream, strawberry, apple pie, coconut and taro — plus they’re open around the clock. 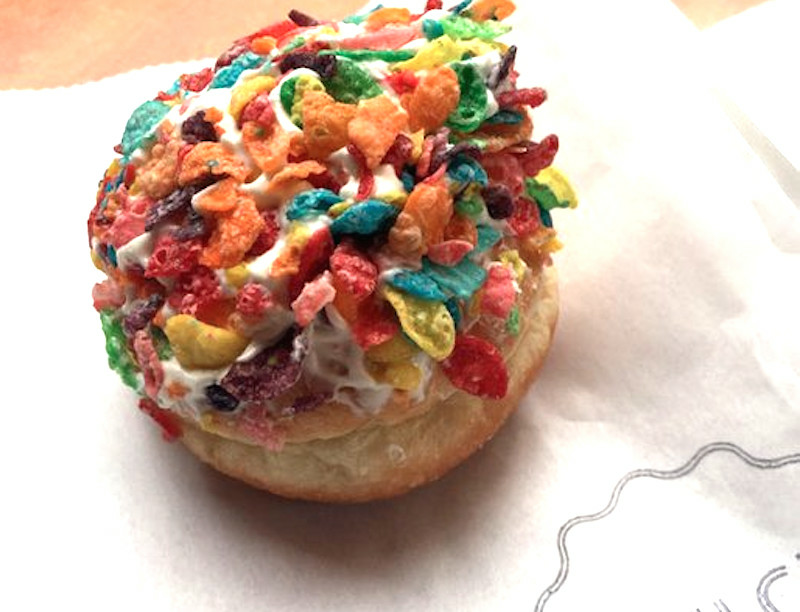 The new-school doughnuts at Cafe Dulce are often given an Asian take, and the results tend to be pretty marvelous. Though the Fruity Pebble, bacon, and strawberry doughnuts tend to earn the most attention, the green tea and spirulina doughnuts are also delicious. 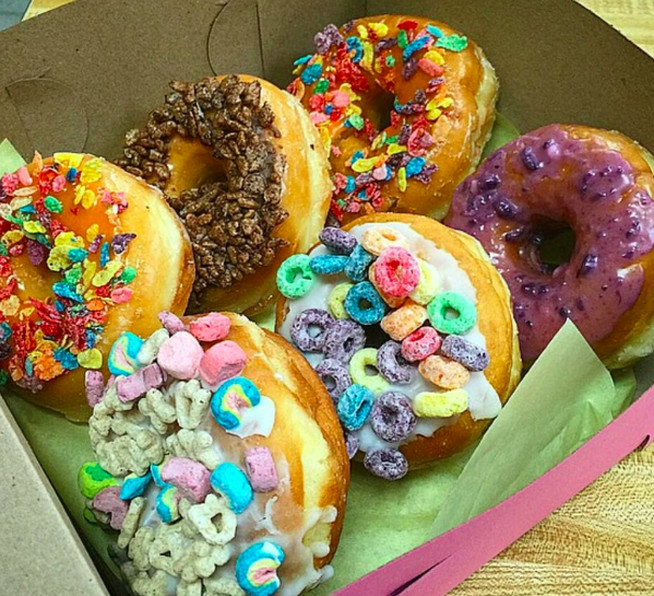 East Coast expat Astro Doughnuts knew well what it was getting into with doughnut-saturated LA, and they haven’t let any nearby competition get them down. From a quick start right out of the gate the company has maintained a steady stream of loyal Downtown fans, thanks to quality ingredients and a menu that also involves lots of fried chicken. 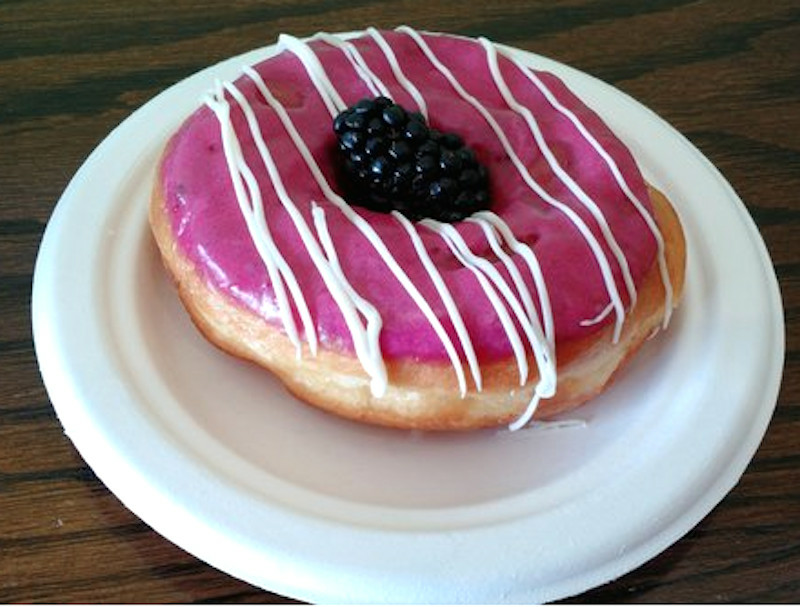 Doughnut from Birdies tend to come across everyone’s Instagram feed quite often. 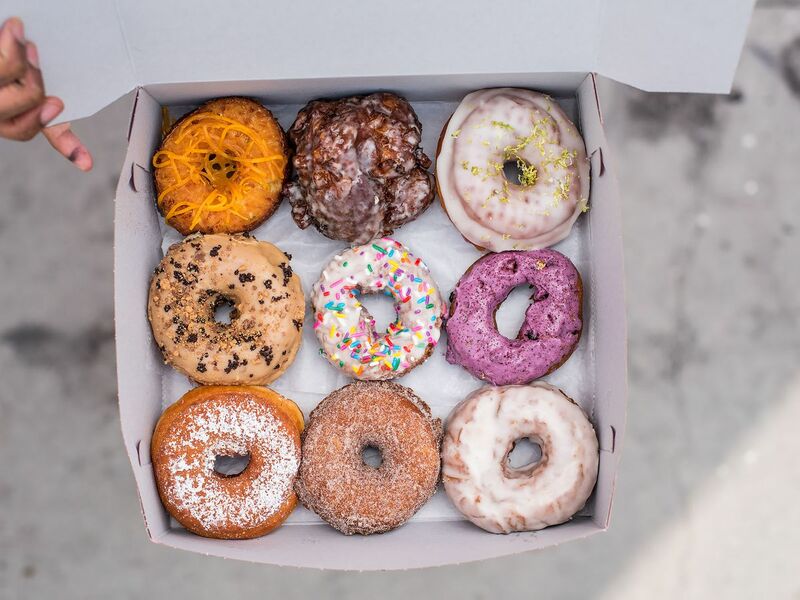 That’s because the Downtown retailer that specializes in all things delicious (that’s fried chicken, coffee, and doughnuts) offers a selection of doughnuts like horchata twist with dulce de leche and blueberry lemon that are pretty as a picture. Primo’s has been run by the same couple for almost 60 years, which makes it quite the Westside institution. Try the famous buttermilk doughnut, sweet, dense, and slightly crisped on the edges, then finished off with the rich glaze. 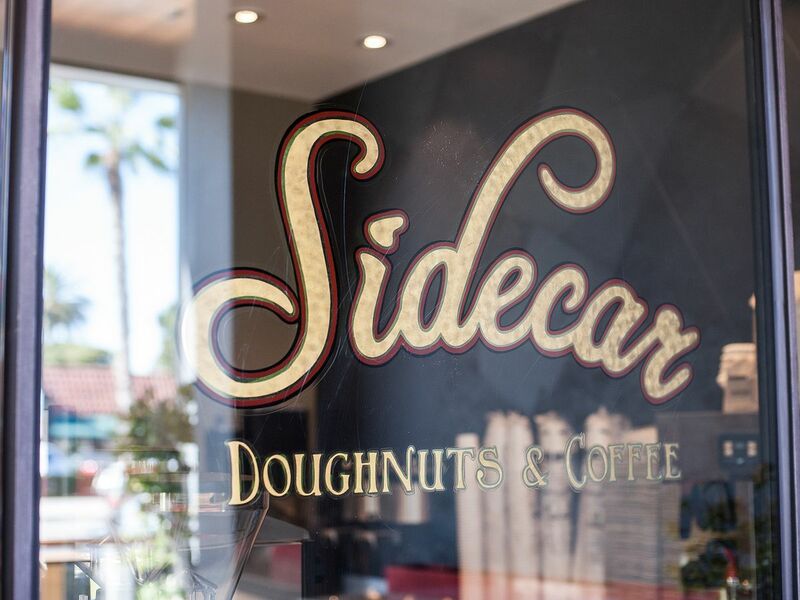 Sidecar makes its doughnuts fresh throughout the day, which means eaters are almost certain to get a warm fritter at any time. Just about every flavor is worth the price tag, but for most everyone’s money it’s the huckleberry and vanilla doughnuts that are the stars. This Portland transplant makes artisanal doughnuts right in the heart of Abbot Kinney. Expectant eaters may be better off earlier in the day when selection is wider and the doughnuts are fresher,, but there’s really no bad time to order the trademark blueberry bourbon basil fritter. 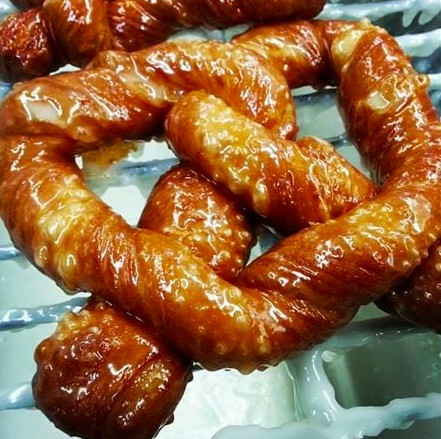 Open 24 hours a day, Tony’s Donut House is one of LA’s most classic donut shops. 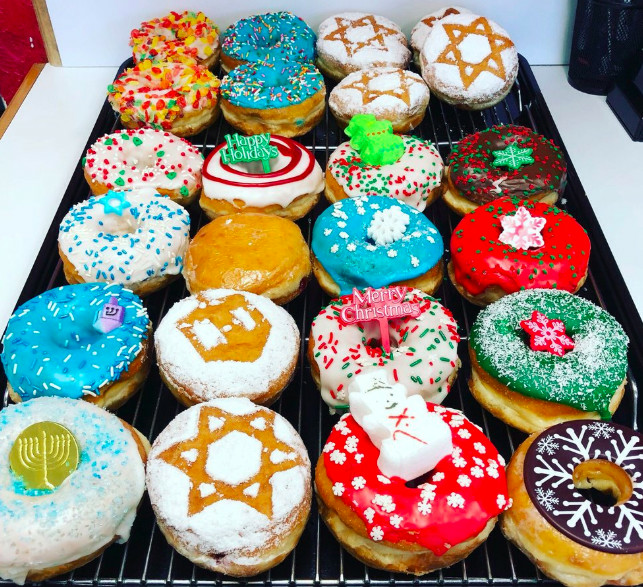 Donut options range from traditional to the “cravenott,” a glazed pretzel-like creation, or the cajeta-filled donut, and the glazed with banana and Nutella. 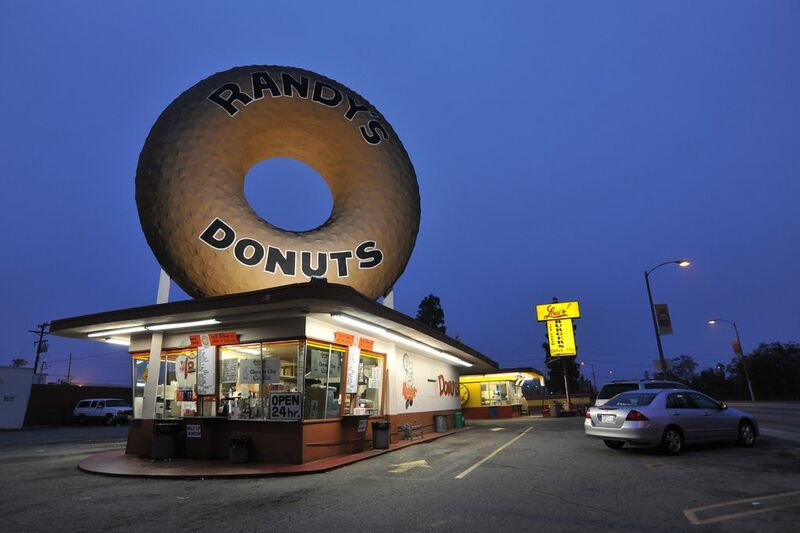 The iconic structure atop Randy’s Donuts is perhaps its most famous element, though that shouldn’t detract from the excellent doughnuts being made below. The maple and chocolate bars are especially good, while the bear claws and apple fritters are worth the (calorie) splurge. It’s worth it to head into Knead Donuts & Tea for the sweets, and for a regular donut adventure. Every few weeks, owner Huey Behuynh conjures up some inventive donuts on the fly, but the blueberry donut, plain glazed, and banana cream custard creme brûlée donut are something to behold. 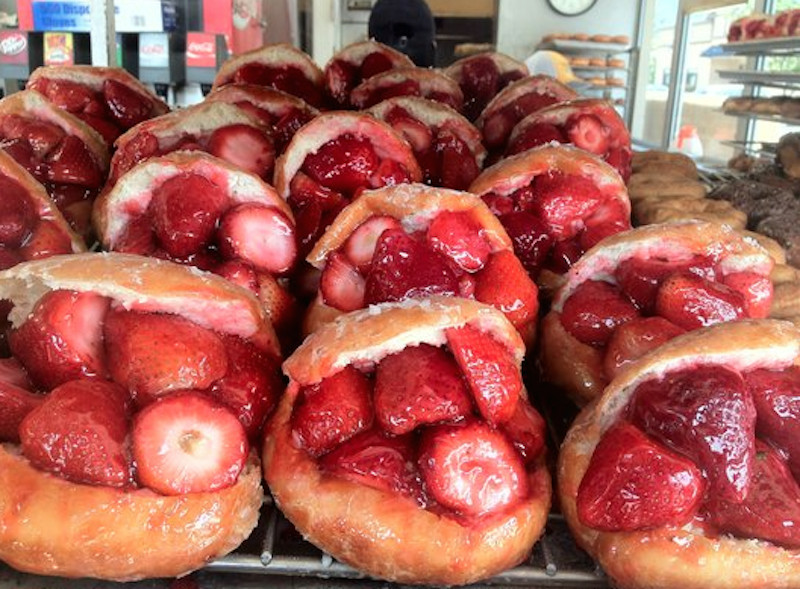 San Pedro’s The Donut is something of a legend. It’s got cult status in this sleepy seaside town, and still turns out daily classics to throngs of waiting customers.